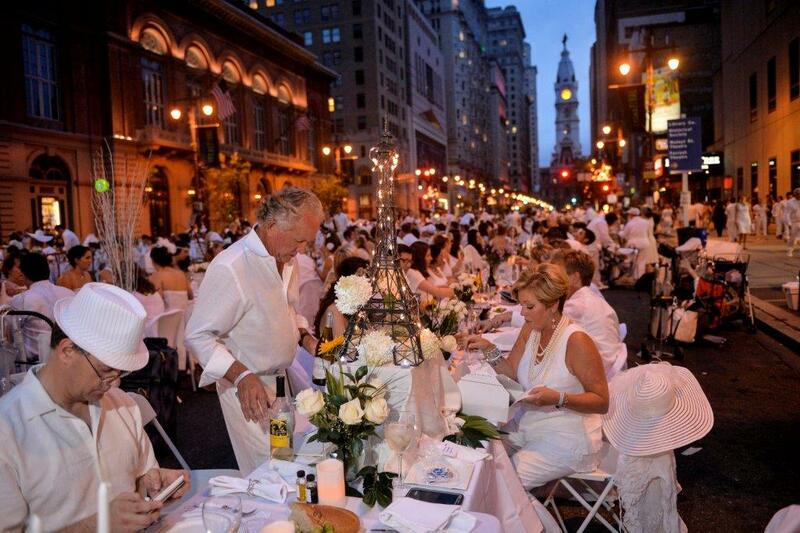 A tradition started in Paris 27 years ago reaches Pittsburgh Sept. 11 with Dîner en Blanc, a creative event that requires attendees to wear white from head to toe and dine picnic style at a mysterious place. The setting for picnic season’s last big hurrah is only revealed upon arrival. Registered guests chose a shuttle pick up point. Then with a table and picnic in hand, descend on the illustrious location. Taking place on site will be contests for Best Dressed (award: $500 gift card to e.b. Pepper) and Best Table Decor (award: Omni William Penn package). 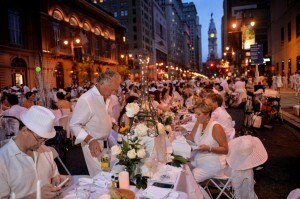 Entertainment, dancing, live music, and atmosphere are all provided by the Dîner en Blanc host team. While you eat and clink glasses pop/rock violinist Steven Vance will be performing for you. Then after everyone has dapped the corners of their mouth the dancing begins with DJ Nugget. 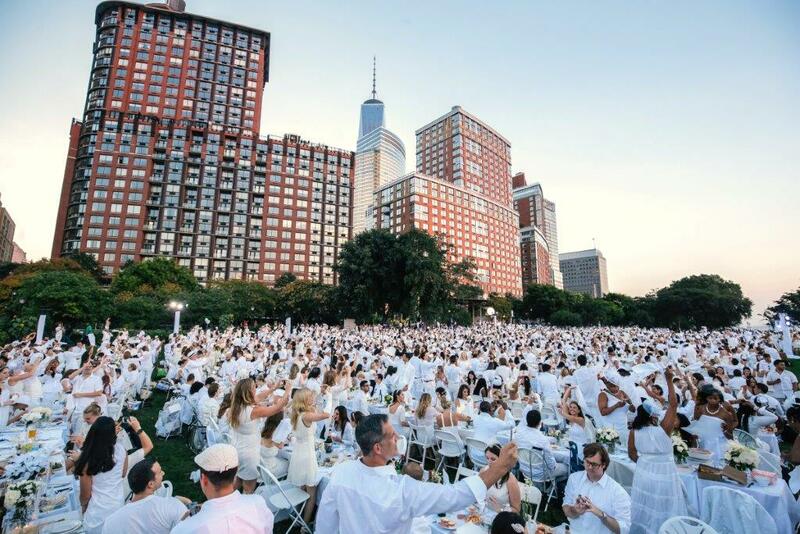 Wearing white began as a way to identify fellow picnickers when convening on a site, but has also symbolized the etiquette that is encouraged. In the past, cities that have hosted parties attract thousands of people that artistically contrast their surroundings in white, creating a romantic landscape of twinkling candlelight. Organizer and Host Jenny Altman says, the event was founded as a way to illuminate part of the city’s architectural beauty. 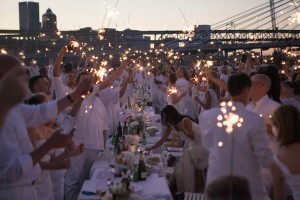 A team of enthusiasts excited to bring such a concept to Pittsburgh appealed to the Dîner en Blanc International to earn permission to host the event in connection with the Montreal-based society of posh picnickers. The team was inspired by the event last year in Philadelphia (see link for event video https://www.youtube.com/watch?v=57QL7Hlpy0A). Wear your most elegant brilliant white garments, bring a table, chairs, white table cloth, wine or bubbles, order a picnic or bring your own, above all bring your sense of adventure. The event will take place rain or shine! Faire la fête. Let’s party. Guests pay a $29.00/ person + $8.00 membership fee because the team plan on making this a Pittsburgh tradition. Registration ends Monday Sept. 7 at 11:30pm.